Info: Created on 30th December 2015 . Last edited on 30th December 2015. This font is intended for 14pt. Most of the characters are fixed width, with exception of some puctuation. Congratulations! FontStruct Staff have deemed your FontStruction worthy of special mention. 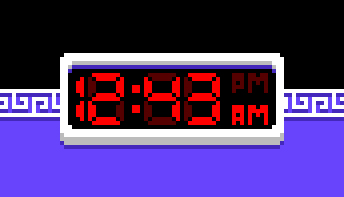 “Clandesdyne Pixelated Digital Clock” is now a Top Pick.